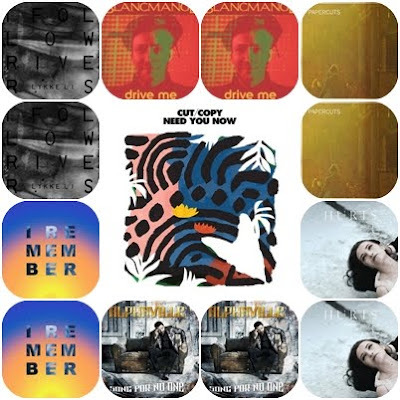 The Round up of Februaury's single releases includes: Cut Copy- "Need You Now", a pick of the month, Alphaville's second single "Song for No One", from the album 'Catching Rays on Giant' which was released last year. Lykke Li is back with much anticipated new single "I Follow Rivers" which also announces a new album in March. Papercuts are also up for a new album release in March. Their fourth album is entiled 'Fading Parade' and "Do What You Will" is the first single to be taken from it. Yeasayer will release the fourth single from the album 'Odd Blood' called "I Remember" and Hurts are back with "Sunday" an iTunes Bundle released on February 26, 2011.And last but not least, our band of the month is releasing their first single "Drive Me" from the upcoming album 'Blanc Burn'.